We had some incredible individual results with Daniel Francken coming 2nd in the under 16 boys 5K, Edita 2nd in the under 12 girls 2.5K and Hannah Gibson 3rd in the under 18 girls 5k. We also had a lot in the top 5 or 10. In the teams we won 3 golds, 2 silvers and 3 bronze sets of team medals! Not a bad haul. 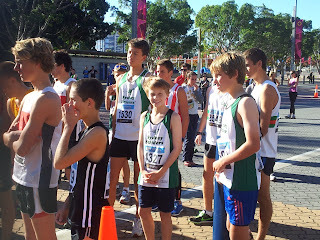 and Gus Wong from the under 18s before the 5K road race. 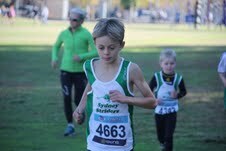 Ben Jagger show his moves in the 5K. 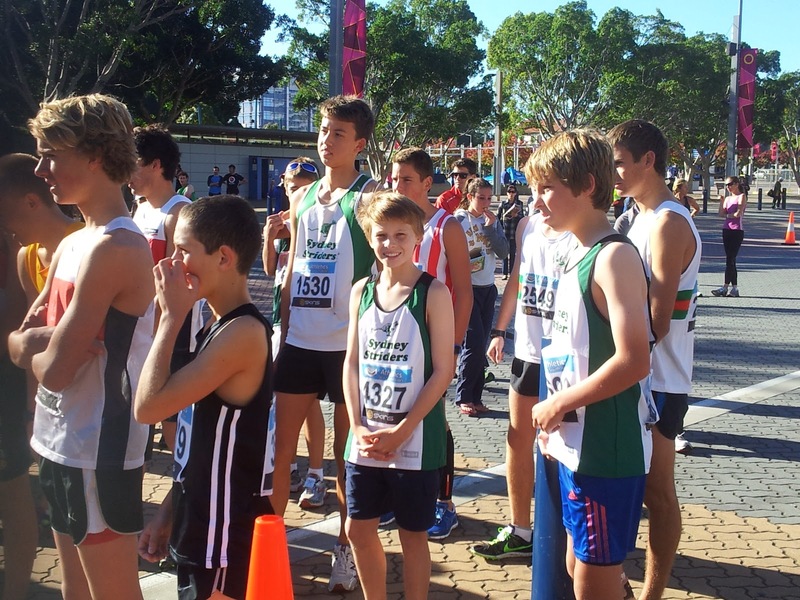 Some of our 20 Striders in the under 16s and under 18s 5K having a post race warm down. Under 12 Boys – Tom Davies (9:36), Kieran (9:21), Benji (9:49), Daniel R (9:48), Billy (10:44), Cam (10:44), Joseph (11:02) and Nicola (10:55). A team, GOLD, B team BRONZE. Under 16 Boys – Daniel (16:29), Paul (18:21), Luke (17:52), Adam (17:34), Harlan (19:14), Dan Watts (18:23), Ben Jagger (19:52) and Samuel (22:49). A team GOLD, B team 4th.